Udidu- Maida Polo is a popular Konkani breakfast. I got this recipe from my mother. In Konkani, udidu means urad dal. This dosa can be made without fermentation but I don't like the raw smell of ground urad dal. Hence I have posted the fermented version. Using ghee while frying makes it taste like a tuppa dosa. Wash and soak urad dal for 2-3 hours. Then remove excess water and grind it along with cooked rice (if using), to get a fine paste. Add little water while grinding. Then transfer it to a bowl and let it ferment for few hours (a little fermentation is enough for this dosa. However I left it to ferment overnight). After few hours of fermentation, a paste of maida has to be added. To make the paste, add water (as required) to maida and mix it well to get a lump- free paste. Add this paste to the fermented urad dal paste and mix well. 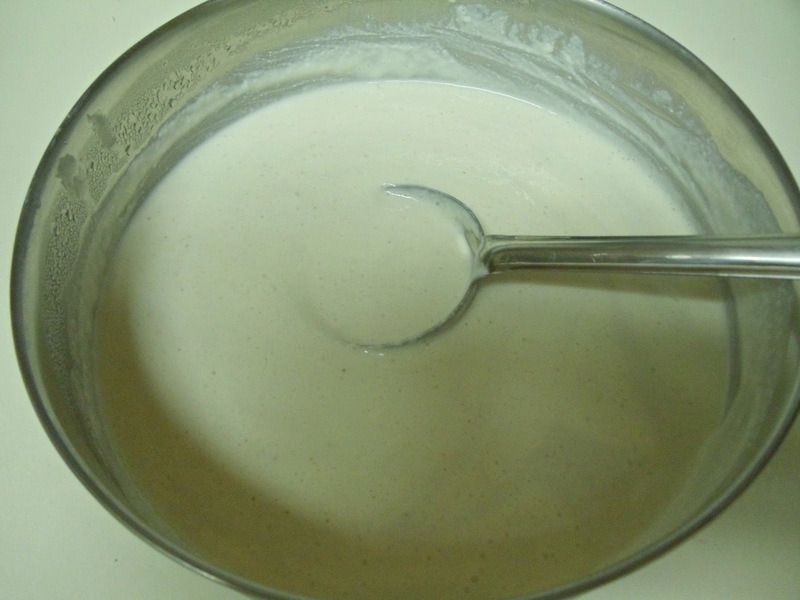 Add salt and adjust the consistency of the batter by adding water. The consistency of the batter should be medium thick (not too thick/ thin). Now the batter is ready. Sprinkle oil/ghee on the dosa. After half a minute or so, the dosa starts to turn golden brown. Transfer it to a plate. Udidu- Maida Polo is ready!! Serve it hot with any chutney or curry of your choice. Above measurement serves four people. Very nice!! Looks really crispy!! Thanks Apu and Flavors of Indian Kitchen..